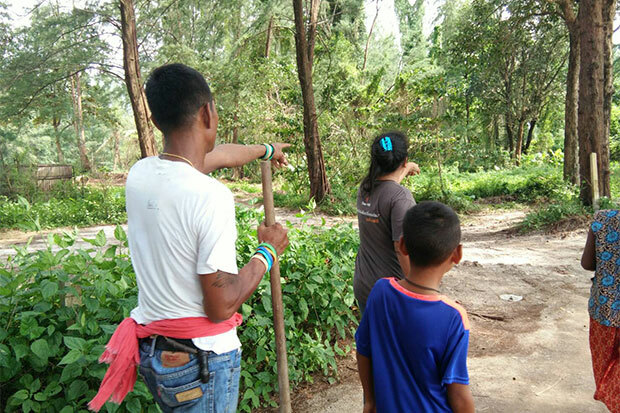 Sea gypsies living in Phangnga province are struggling to protect a traditional cemetery from encroachment by businesses, and say local authorities are too weak to help them protect and preserve their traditional way of life. 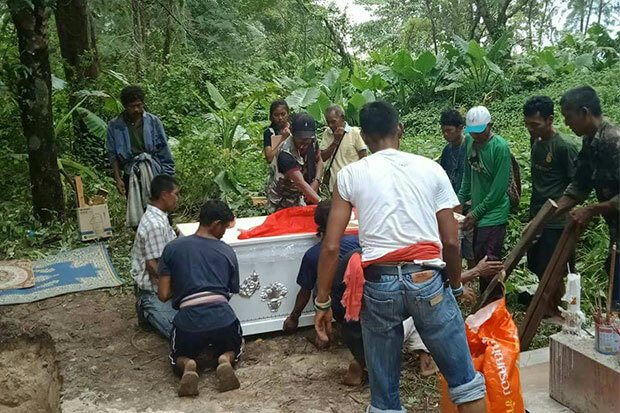 The Moken community in tambon Khuek Khuk in Takua Pa district says the amount of land set aside for its cemetery is shrinking as road construction and hotel expansion make inroads. The conflict has been brought to the attention of local and higher-level authorities, including the 4th Army commander who attempted to encourage negotiations. But so far no satisfactory conclusion has been reached. Withawat Thepsong, a coordinator of the Adaman Sea Gypsy Network, said the current impasse is not new. Since the tsunami that devastated the area in 2004, he said, at least three committees have been set up to deal with land rights and other issues but they made little progress. Mr Withawat said he had little hope that local authorities could resolve the dispute, in which case his group would move forward with a plan to raise the issue with others. The Moken community is scheduled to meet next Thursday with the provincial governor to discuss the problem. The sea gypsies say land around their cemetery is now being disturbed by road construction. The road, they say, will pass through the middle of the cemetery, while a walkway and expansion of a local hotel will also encroach on an area where bodies are buried. Sea gypsies bury their dead in nearby forests in the belief that they will protect the living by means of their presence nearby. They believe that if bodies are cremated, they cannot go to stay with their ancestors and have no power to protect their families. Several decades ago, the graveyard of a sea gypsy group living in Tambon Khuek Khuk was encroached on by mining activity and shrimp farms. The local Moken chief asked authorities for permission to preserve eight rai of public land for a purpose of cemetery. The Interior Ministry issued a letter dated Feb 6, 1989 declaring eight rai of land as a public place for use as a cemetery. However, as the tourism industry expanded, a road was built through the graveyard to shops and restaurants at the beach nearby. Now walkway construction and hotel expansion are planned. Mr Withawat, who is also a Moken, said his group was working with its allies to push for state regulations to protect and preserve their traditional cemeteries. There are 5,834 Moken people living in Phangnga province with eight main graveyards in Khura Buri, Takua Pa, Takua Thung and Thai Maung districts. The five provinces along the Andaman coast are home to 41 communities of sea gypsies belonging to three main tribes, the Moken, Moklen and Urak Lawoi.